The Chinese Olympic Team Practising prior to the 2012 Olympics. A lot of the Juniors and Coaches are taking a great deal of interest in procedings. 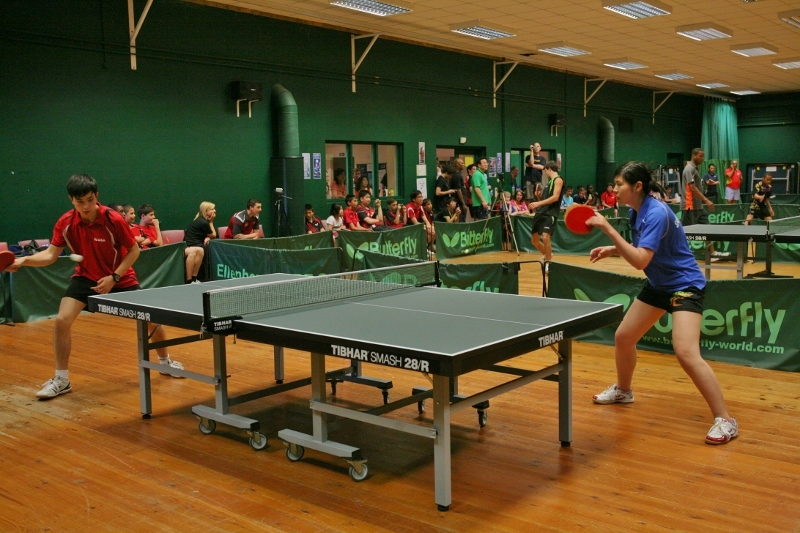 The usual set up in the playing hall is for up to eight tables available for general practise and League Matches etc. The flooring is of a wooden sprung construction, and the lighting is up to International playing Standards. As can be seen in the photo above, it's good enough for the World & Olympic Champions to practise on. Bar - We have got a bar, but as this is a sports club it is not extensively stocked with alcohol, there is enough for an after match drink, also chocolate, crisps etc. are available. There is a vending machine in the lounge, so even when the bar is closed, soft drinks and snacks are available. Wi-Fi is available for those who want to be connected to the internet and Social media. 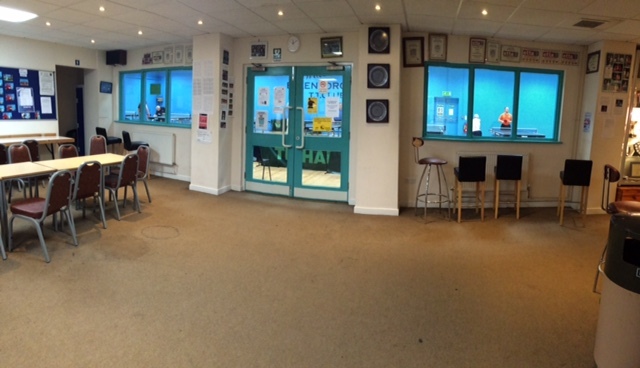 Disabled Access - After the 2006 extension to the club, a great deal of attention was given to people with disabilities. 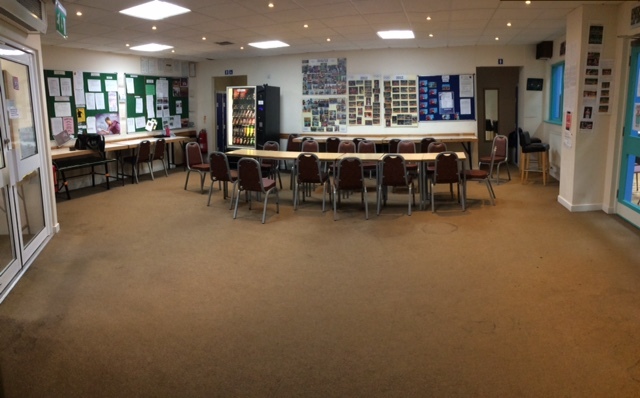 The hall, lounge, toilets, changing rooms are all on one level. The bar has a lower section specifically for people in wheelchairs. Further work is being completed outside of the club to make access even better. Changing Rooms - The changing rooms are modern, with lockers, toilets, shower and hair drying facilities.